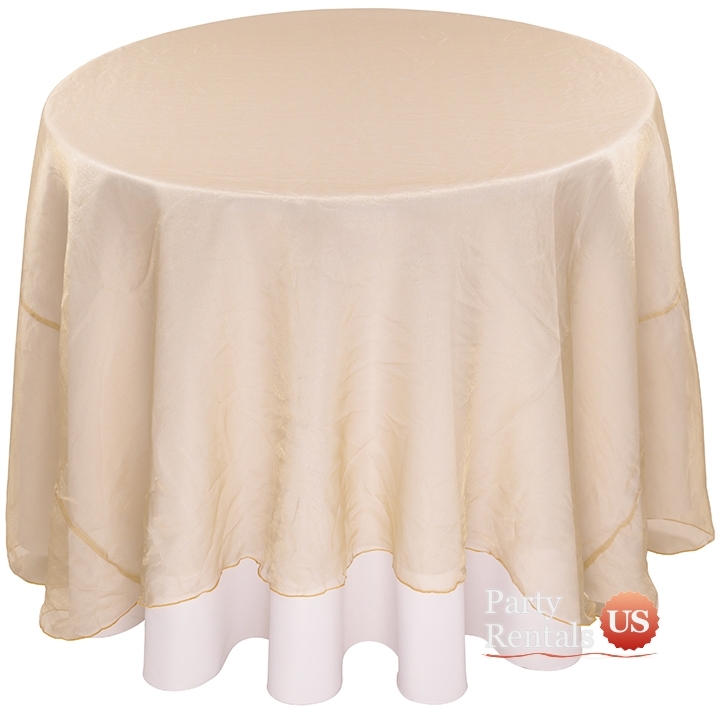 Organza's sheer appearance is extremely elegant and complements most tablescapes. The polyester construction is easy to maintain and will be quite durable. The fabric flows and contains glitter, so you can complete your decor with a fairy tale ending.